April 28, 2011 – Every day, big coal corporations detonate about 2,500 tons of explosives in West Virginia. Air pollution and mercury poisoning are on the rise due to numerous health violations by local coal company, Massey Energy, and the corresponding lack of government or political intervention. Appalachia’s Coal River Mountain is one of the last to be untouched by Mountain Top Removal (MTR), a mining practice which is known to create health and environmental hazards, in addition to eliminating local jobs. 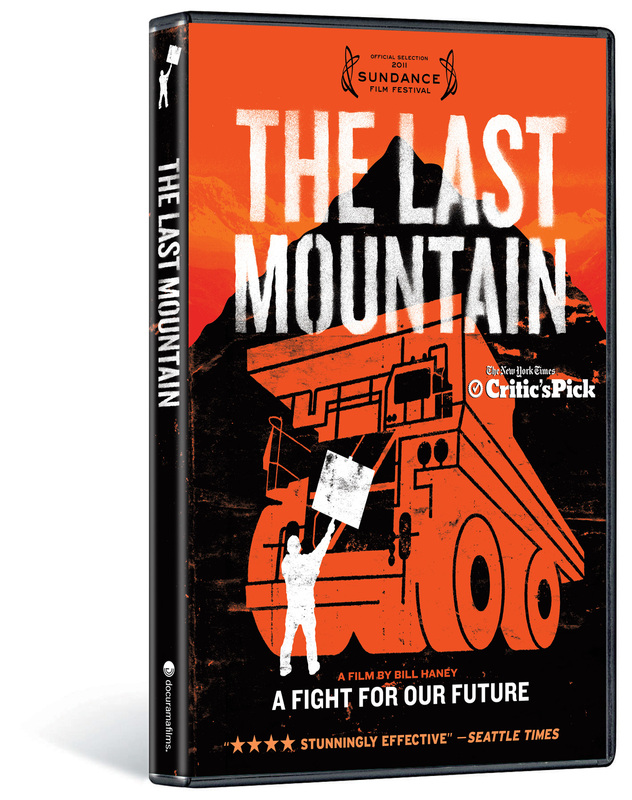 Featuring veteran environmentalist Robert Kennedy, Jr., alongside local West Virginia community activists, THE LAST MOUNTAIN shines a light on their dedicated pursuit to stop major coal corporations from continuing MTR. The concerns these grassroots protesters have about America’s growing energy demands aren’t local to Appalachia; they affect us all. Their fight is a fight for our future. 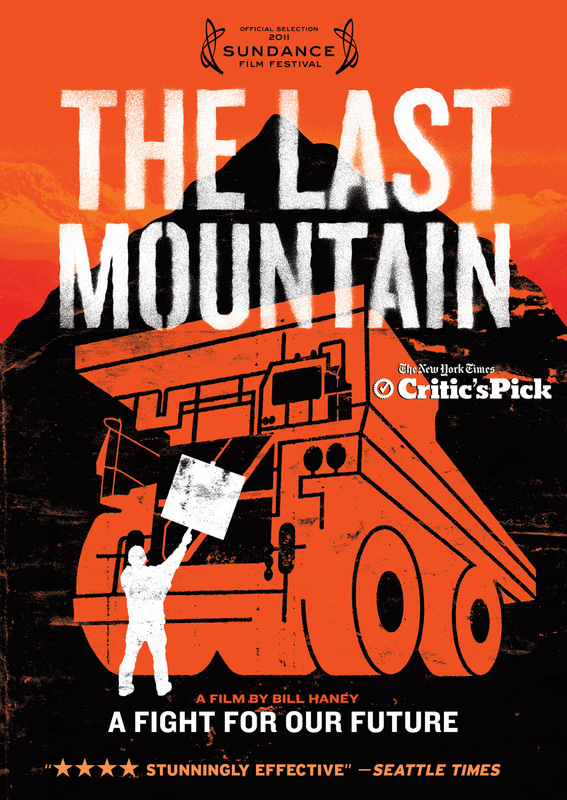 A true David vs. Goliath story celebrating everyday people heroically working together to stop a giant corporation from destroying their community, THE LAST MOUNTAIN is directed by award-winning filmmaker, Bill Haney (The Price of Sugar). “With politicians siding with their corporate donors, it falls to a rag tag army of local activists to stand alone for the welfare of their families, their heritage and for a principled and sound energy future,” said Haney. Robert F. Kennedy Jr. – Chief prosecuting attorney of Hudson Riverkeeper, president of Waterkeeper Alliance and senior attorney for the Natural Resource Defence Council. He has written several books, including The New York Times’ bestseller, Crimes Against Nature. Bill Raney – President of the West Virginia Coal Association. He oversees surface coal mining production in the state and believes that protecting jobs is his top priority. Maria Gunnoe – Resident, spokesperson and community activist from Boone County, West Virginia. Born into a family of coal miners, Gunnoe works full time for the Ohio Valley Environmental Coalition (OVEC) and continues to speak out against mountaintop removal. Bo Webb – A coal miner’s son and Vietnam Vet, Webb co-founded the grassroots environmental group, Mountain Justice Summer, and has organized dozens of protests in support of preserving Coal River Mountain. David Aaron Smith – Member of Climate Ground Zero, which stages nonviolent protests of civil resistance. In January 2009, he participated in a tree-sit protest with other members to prevent Massey Energy from blasting Coal River Mountain. In the film, Kennedy speaks with protestors, politicians and Massey employees alike about the consequences of mountaintop removal and its impact on people and the environment. He also gets behind Climate Ground Zero, demonstrating his support of nonviolent protest. THE LAST MOUNTAIN premiered at the 2011 Sundance Film Festival and was an official selection at the Full Frame Documentary Film Festival. Following its theatrical debut in June 2011, New Video’s Docurama Films will release THE LAST MOUNTAIN on VOD, digital and DVD on November 1. Uncommon Productions and Dada Films presents THE LAST MOUNTAIN, directed by Bill Haney; written by Haney and Peter Rhodes; produced by Clara Bingham, Eric Grunebaum, Bill Haney; executive produced by Tim Disney and Tim Rockwood; cinematography by Jerry Risius, Stephen McCarthy, Tim Hotchner; edited by Peter Rhodes and Co-Produced by Laura Longsworth. Narrated by William Sadler, the film features original music by composer Claudio Ragazzi and includes the song “Your Control” by Crooked Fingers and Neko Case. In 1999, NEW VIDEO launched Docurama Films® with the first feature documentary available on DVD: D.A. Pennebaker’s Bob Dylan: Dont Look Back. Twelve years and 250 award-winning, highly-acclaimed documentary titles later, Docurama continues to discover and release the greatest non-fiction films of our time while spreading the word about filmmakers who are taking the form to new heights. Docurama’s catalog features an array of topics including the performing and visual arts, history, politics, the environment, ethnic and gender interests, and all-time favorites including The Wild Parrots of Telegraph Hill, Andy Goldsworthy: Rivers and Tides and King Corn. Recent releases include The End of the Line, Best Worst Movie, the 2011 Oscar®-nominated film, Gasland, and the first-ever Blu-ray release of Dont Look Back.